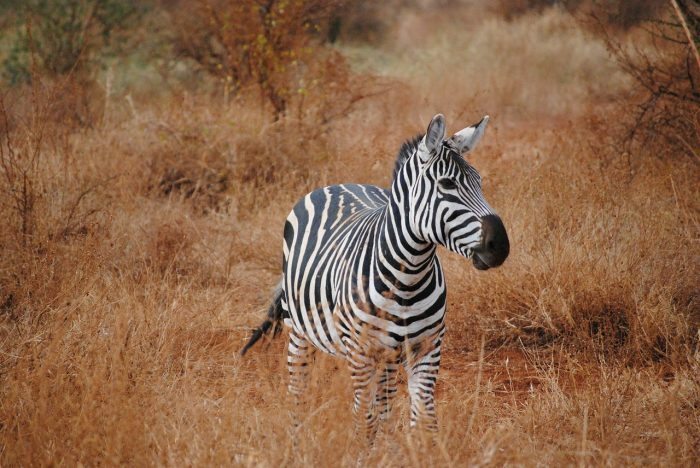 Zebras have several predators they must fend against, including lions, tigers, cheetahs, hyenas and crocodiles. Since zebras are sociable animals, they live in packs called harems, which helps fend off would-be attackers. If a zebra sees a predator attempting to attack the harem, it will stand its ground and alert others using a high-pitched noise, similar to that of a snort. While the rest of the pack flees, the zebra will sometimes attempt to make a stand against the predator. It will lower its head and present itself in a stance where it can bite the attacker. However, the usual case results in the zebra fleeing with the rest of the pack when given an opportunity.